On our "Resources" page you will find links to related websites and resources. 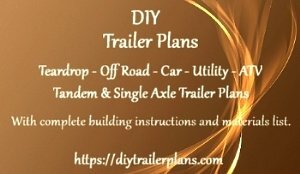 Selling our trailer plans online since 2005. We have the #1 selling teardrop trailer plans online. We will usually exchange links with related websites such as automotive, welding, trailer parts and supplies ect. If you have a related website and you would like to exchange links with us, first put our link on your site then use our "Ccontact Us" form and send us your link information along with the URL where you placed our link. We will contact you and let you know when your link is up on our site. Your cutter is an information site for Cutting,welding equipment,mig welder,tig welder,plasma cutter and diesel generators. Honda and Acura transmission repair specialists in Auburn, WA. Dial us at 253.245.1212. Integrated Dealer Systems (IDS) provides the most complete and integrated dealer management software (DMS) solution for RV dealerships, Marine dealerships and Trailer dealerships. British owned company with proven worldwide export experience in the trucking, mining, Agriculture and construction industry. We are a leading supplier of used tipper trucks, used farming equipment, used mining plant equipment, complete used engines and used gearboxes, used generators,used compressors, new and used truck spares in UK. Tourch Cutting Supplies & Accessories. For the widest selection of trailer parts in CA, give the J and S a call. At J and S, we stock most trailer parts in CA for your RV, camper, motorhome, and trailers.